Now that the Nikon D850 has been officially announced, it is time to take a closer look at the camera’s features. Nikon has introduced a number of great features with the D850 that we have never seen on other Nikon DSLR before, so I thought it would be a good idea to write a separate article that highlights these in detail. The Nikon D850 combines the power of a high-speed camera with a high-resolution sensor and in many ways represents something many Nikon shooters have been asking for – a true Nikon D700 replacement. Let’s see what the D850 has to offer and why you might want to consider moving up to it. Despite its super high resolution 45.7 MP sensor and the resulting massive RAW images, the Nikon D850 can shoot continuously at 7 fps. That’s a drastic change from the 5 fps continuous shooting speed of the Nikon D810. Granted you will have to use a fast UHS-II SD memory card, or preferably, an XQD memory card to sustain such speeds for longer periods of time (see the camera buffer section below for more details), but that’s a given, considering how much data the camera will be dealing with. Action photographers will appreciate the fact that the continuous shooting speed of the Nikon D850 can be increased to a whopping 9 fps, once the MB-D18 battery grip with the high power EN-EL18B battery is connected to the camera. At 9 fps, the D850 might not be as fast as the Nikon D5, but it is pretty darn close to what the Nikon D500 is capable of. With such a high resolution sensor, sports and wildlife photographers will have a lot of megapixels to work with, which gives plenty of additional room for extreme cropping. Just like the D810, the Nikon D850 has no optical low-pass filter in order to deliver maximum detail in every shot. With a 45.7 MP sensor, the D850 will deliver superb sharpness and take a full advantage of modern lenses that can deliver plenty of resolving power for the camera. However, due to not having a low-pass filter, the Nikon D850 might introduce some moire when photographing repeating patterns. If you are worried about it, check out my article on how to avoid moire and you can also check out my article on reducing moire in Lightroom, as well as in Photoshop. Instead of using a Sony-developed sensor, Nikon decided to design the sensor for the D850 on its own and have it produced by a different manufacturer, as it has done a number of times in the past in cameras like Nikon D3 and D700. The 45.7 MP sensor on the D850 is Nikon’s first backlight-illuminated (BSI) sensor, which will yield better image quality than the D810 – Nikon claims up to a full stop of improvement in noise performance, thanks to this new BSI design. This also explains why the native ISO range has been extended by a full stop (the native ISO range of the camera is 64 – 25,600). Additionally, the Nikon D850 will have as good, if not better dynamic range than the D810 at base ISO 64, as well as some higher ISOs due to better sensor efficiency. The Nikon D850 has the same robust Multi-Cam 20K autofocus system as the Nikon D5, with a total of 153 focus points, 99 of which are cross-type. The 15 focus points around the center of the camera are sensitive to f/8 maximum aperture, which means that you can attach a 2x teleconverter to an f/4 lens (which results in f/8 maximum aperture) and still be able to easily acquire focus on targets. The camera is also sensitive down to -4 EV, allowing the autofocus system to function even in extremely low light conditions. It is important to note that the Nikon D810 was sensitive down to -2 EV, so there are two stops of improvement on the D850 over its predecessor. Additionally, the camera’s outer focus points will be able to function at -3 EV, which is better than what the Nikon D810 could do in the middle of the frame! The Nikon D850 has a dedicated AF engine, similar to what we have seen on the D5 and D500 DSLRs, which allows the camera to achieve much faster and more precise focusing with all 153 focus points. Because of the dedicated AF engine, the camera is able to perform fast calculations using all focus points, so if you chose too shoot in auto-area AF mode, the camera will be able to acquire focus on the moving target and keep it there, even if you end up changing the framing. Just like the latest generation Nikon DSLRs like D500 and D5, the Nikon D850 also features auto AF fine-tune feature that allows for easy calibration of lenses. Although the feature is limited to only one focal length and distance setting, it is nice that the process of calibrating lenses is getting easier on DSLR cameras. This is a very impressive achievement on behalf of Nikon – considering that the 45.7 MP sensor will only yield larger files when compared to 36 MP, Nikon had to make the buffer on the D850 at least twice the capacity, probably more. Coupled with a fast XQD card that can quickly offload all that data from the buffer, it is possible to shoot continuously for a very long time. And if you choose JPEG as your file format, you can bet that you will be able to shoot non-stop until the memory card fills up! This should be very exciting for all sports and wildlife photographers. 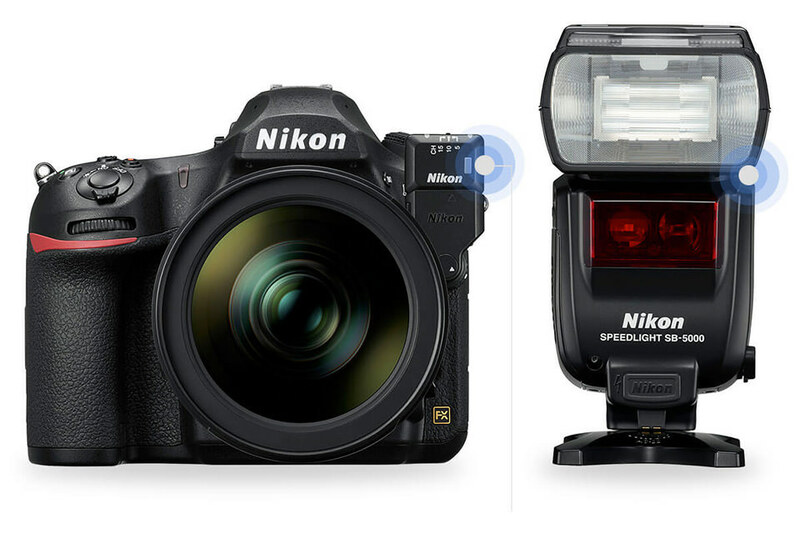 Unlike the Nikon D810, the D850 does not have a built-in flash. Nikon decided to make the D850 as rugged as possible and make it very similar to the Nikon D500 in terms of button layout and weather sealing (more on that next). While some photographers might be disappointed with this change, as the built-in flash can work nicely as either fill flash or a flash commander for other speedlights, I personally think it is better to trade the built-in flash for improved weather sealing. Many photographers never use the built-in flash and those who do are better off getting a dedicated flash trigger anyway, especially considering how affordable third party options have gotten over the past few years. The D850 is the first Nikon DSLR to feature a built-in focus stacking feature that allows capturing up to 300 shots at different focus points. Those shots can later be merged together into a single image using third party post-processing software, allowing photographers to achieve maximum depth of field for macro and landscape photography. The D850 will offer shutter release intervals of 0 to 30 seconds, with 10 levels of focus steps and continuous shooting at approximately 5 frames per second. I am personally very excited about this feature, since it eliminates the headache of trying to focus at different areas of the scene when shooting in the field. Similar to the Nikon D5 and D500 DSLRs, the Nikon D850 features a faster EXPEED 5 processor that is capable of not only handling a lot of image and video throughput, but also accelerating the autofocus capabilities of the camera. Because of this, the camera is able to achieve such high continuous shooting rates and able to record 4K video using the whole sensor, something other Nikon DSLRs could not handle in the past. Additionally, a faster processor allows the camera to handle images faster and more efficiently, which improves on the battery life (next). Although the Nikon D850 will come with the new EN-EL15a batteries, you can continue to use your older EN-EL15 batteries from your D800 / D800E / D810 and other cameras with the D850, which is great news, since you do not have to spend money buying all new batteries again. This is a huge plus for someone who wants to shoot with two camera bodies like Nikon D850 and D810, since you can can carry the same battery charger and share batteries between cameras. Since the built-in flash is eliminated and the camera now utilizes a much faster EXPEED 5 processor, the camera is able to shoot up to 1,840 still images from a single charge when using the provided EN-EL15a battery. Those who will be getting the MB-D18 battery pack, along with the EN-EL18b battery to increase the continuous shooting speed to 9 fps will be happy to find out that the battery life will increase significantly with that setup – one can shoot up to 5,140 images on a single charge! The Nikon D850 features a large viewfinder with a 0.75x magnification, which is larger than any other viewfinder Nikon has made in the past. Nikon was able to update the optical viewfinder with an aspherical lens and a new condenser lens to make it very bright and sharp, bringing an even more realistic viewing and shooting experience. The large and bright viewfinder should make it easier for photographers to confirm focus on their subjects, especially when manually focusing their lenses. Similar to the D5 and D500 DSLRs, the Nikon D850 has a 180K Pixel RGB metering sensor, which is capable of metering down to -3 EV. This metering sensor has a built-in flicker detection function and its accuracy has been significantly improved when shooting in such autofocus modes as Auto-Area AF and 3D-Tracking when compared to the Nikon D810. Additionally, the Nikon D850 now comes with a new “Highlight-weighted metering” mode that works much better than Matrix Metering in complex lighting situations where highlight information might be getting clipped. It works by prioritizing the brightest portions of the scene and thus fully retains all the important data in an image. The Nikon D850 retains the same Electronic Front-Curtain Shutter (EFCS) mode that is also available on the Nikon D810, which should allow one to take images without introducing camera shake. While EFCS still works in Mirror Up mode, Nikon has also extended the EFCS feature to both quiet and quiet continuous shooting modes, which is great! This means that when using the silent shooting mode in live view mode, taking a picture will not trigger the shutter mechanism and cause vibrations. This was one of my biggest complaints with the D810 and I am very happy to see that it has been finally addressed by Nikon! Nikon has introduced a new “Silent Shutter” mode to the D850, which allows the camera to take advantage of the electronic shutter when using the camera in live view mode. What’s great about this mode, is that it not only completely eliminates any kind of shutter (since the mirror is raised and the shutter is open), but also allows photographers to stay discreet when shooting wildlife or when taking pictures during a wedding ceremony in a church. When shooting continuously, the Nikon D850 can capture up to 6 fps at full 45.7 MP resolution and if one switches to high speed mode, it is possible to reach up to 30 fps at 8.8 MP in DX crop. The Nikon D850 features three RAW size options: full RAW at 45.7 MP, medium RAW (mRAW) at 25.5 MP and small RAW (sRAW) at 11.3 MP. I am happy to report that Nikon has completely changed the way mRAW / sRAW option is implemented on the D850. Instead of dealing with a flat 12-bit losslessly compressed file, we now have images that look like they utilize true pixel binning, which is a huge upgrade over the D810 and everything else we have seen from Nikon and other manufacturers so far. This makes the D850 a truly versatile camera, because it is possible to recover as much shadow and highlight detail as on full size RAW images! Film photographers will love the Nikon D850, because it has an optional accessory that allows one to take high-resolution images of 35mm film. With the ES-2 Digitizing Adapter accessory, along with a macro lens like the Nikon 60mm f/2.8G ED you will be able to create negative and positive scans of 35mm film (slides or negatives). The Nikon D850 will be able to convert negatives to positives directly in-camera using JPEG file format, which is amazing! The ES-2 Digitizing Accessory will retail for $150, which is not a bad price to pay for the convenience. As I have already highlighted in my Understanding Memory Cards article, CF has no future due to its bus speed limits and XQD is clearly the memory card format of the future, thanks to its robust architecture and its PCI Express architecture. Nikon has done a great job with integrating XQD memory card slots into its latest cameras and the Nikon D850 also gains one, which is definitely good news, since that’s how the camera is able to sustain such great continuous shooting speeds. It is also great to see that Nikon was able to put a UHS-II compatible SD card slot into the camera, since UHS-II memory cards are much faster when compared to their older UHS-I counterparts. 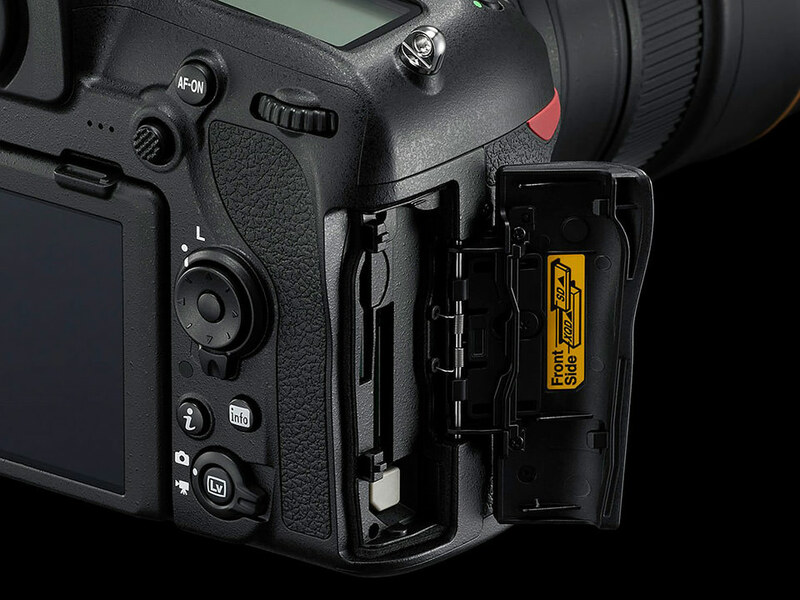 While I am happy to see Nikon switch its pro cameras from CF to XQD, I personally do not favor two different memory card slots. Instead of fiddling with both XQD and SD card slots, Nikon should have just gone with two XQD card slots, as it has done on the Nikon D5. Nikon D850 is the first DSLR that is capable of shooting both 4K and 8K timelapses. What’s nice about the new timelapse feature, is that the camera can shoot electronically in live view mode without ever triggering the shutter mechanism, which reduces the mechanical wear of the shutter. This “silent interval timer” feature also creates no sound or vibration when capturing images, which should eliminate any potential for camera shake. The silent interval timer function will allow shooting up to 9,999 images total. There are two limitations though – when shooting in program or shutter priority modes, the change of aperture might introduce some sound and due to the readout of the sensor in electronic mode, one might encounter rolling shutter issues when there is fast motion in the scene. Lastly, the Nikon D850 also offers a minimum interval setting of 0.5 seconds, which will allow photographers to capture very smooth timelapses. Just like the Nikon D5 and D500 DSLRs, the Nikon D850 features illuminated buttons, which are extremely useful when shooting in dark conditions. By moving the shutter release switch to illumination mode, one can get both the top LCD and the camera buttons to light up, making it easy to see them at night. This is a must-have feature for landscape and timelapse photography and I am very happy to see that Nikon has decided to incorporate it to the D850. 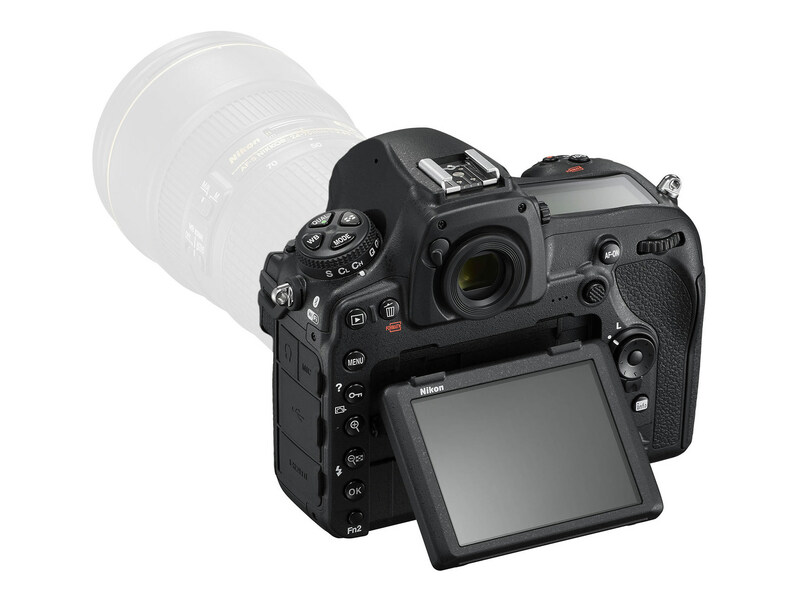 While the Nikon D810 has the same size 3.2″ LCD screen, the D850 takes it to a whole new level. First of all, the LCD screen on the D850 is tilting (finally), which is great when shooting at high or low shooting positions, as it allows one to look at the camera LCD screen much more easily. I wish Nikon made the LCD screen a bit more versatile by allowing it to also swing sideways like we have seen on a number of other modern cameras, so that the tilting feature would be useful when shooting vertically, but it is not a critical feature – I will still take a tilt screen any time over a non-tilting screen, because it makes using the camera in the field much more convenient. In addition to this, the LCD screen on the D850 is also touch-enabled, which makes it easy to review images by swiping through them or zooming into them, in addition to being able to quickly navigate through the camera menu. And lastly, the LCD screen on the D850 has far more resolution with a total of 2,359K dots (the Nikon D810 only has a 1,229k dot LCD). The D850 is the first Nikon DSLR to feature 4K UHD video recording that can take advantage of the whole image sensor. This is very important, because the camera will be able to take a full advantage of the full-frame sensor to produce beautiful videos with very little noise in them. 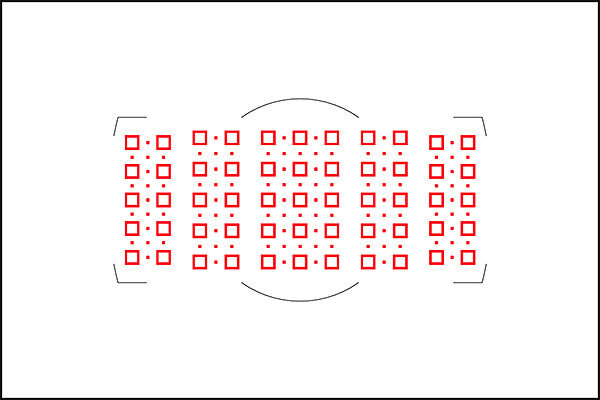 In addition, you will be able to use wide-angle lenses as they were intended to be used on a full-frame sensor, since there is no cropping involved. Those who want to get a bit closer to the action will be able to switch to DX mode and shoot 4K video, which will be close to super 35mm size. Similar to previous generation Nikon DSLRs, the D850 will be able to output uncompressed 4:2:2 8-bit footage through its HDMI port and record it via external recorders. In addition to the MOV video format, Nikon has also added the MP4 video format to the Nikon D850. Those who want to record slow motion video will be able to do so in full HD format using the new in-camera slow-motion video feature, which can generate both x4 (120/100p footage at 30/25p) and x5 (120p at 24p) slow-motion videos. Unfortunately, slow motion video will be limited to DX crop and AF-area modes will also be limited to normal-area and wide-area AF. It will also be impossible to record audio in slow-motion videos. Nikon has also integrated focus peaking into the Nikon D850, which is great for those who desire this feature when using live view mode. Focus peaking will make it easier to focus on subjects, since it will highlight the areas of contrast using a particular color like red, white, yellow or blue. This feature should be particularly good to use with manual focus lenses. However, I wish Nikon offered an EVF option with the D850, since it would have made focus peaking much more useful when utilizing the viewfinder, rather than the LCD screen of the camera. The Nikon D850 comes with a built-in WiFi and Bluetooth chips to drive Nikon’s SnapBridge App. While many photographers were not happy with Nikon’s SnapBridge implementation, it has gotten a bit better after firmware and software updates and hopefully by the time the D850 ships, it will be stable enough to use reliably in the field. One feature where the D850 loses to the Canon 5D Mark IV (and probably the only one) is built-in GPS. I don’t know why Nikon has been forcing its customers to use an external GP-1A GPS adapter, because it is a horrible solution, as it takes up the flash socket and requires a cable connection to one of the ports on the front of the camera. I have seen the GP-1A used in the field once by another photographer and I cannot see how I could ever rely on such a setup! It does not fit my camera bag and I know for sure that I would end up damaging the cables and the connection ends. 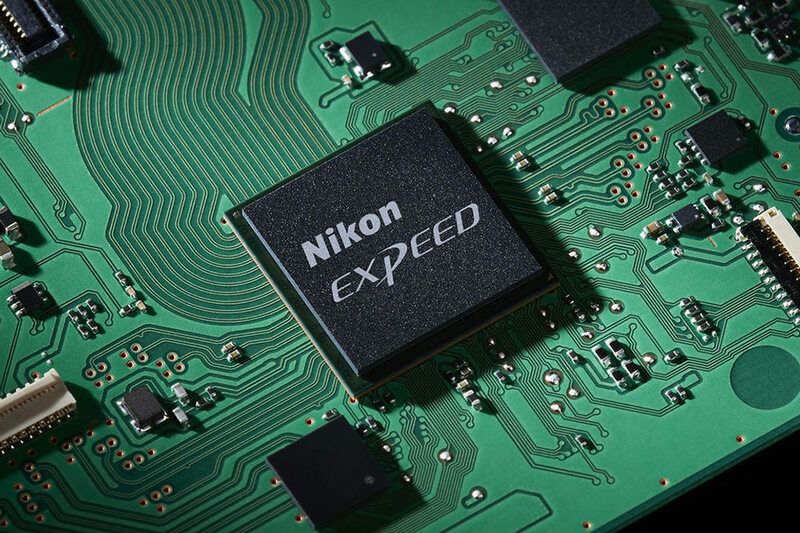 Why can’t Nikon integrate a GPS chip into its DSLRs? Many other manufacturers have done it successfully and Nikon is still refusing to add such a basic camera feature. GPS is great to have on a DSLR for travel or landscape photographers, because we can see exactly where we captured a photograph. I really hope that Nikon adds built-in GPS to its cameras in the future. While the Nikon D810 was a specialized camera for landscape, architecture, macro and studio photographers who prefer resolution over speed, the Nikon D850 is made to appeal a much wider audience. In fact, with the D850, Nikon is targeting pretty much all types of photographers, including landscape, macro, sports, wildlife, fashion, wedding / portraiture and timelapse. That’s because for the first time, the camera features both a high-resolution sensor and fast continuous shooting speed, as explained above. And with the 4K video recording capability, Nikon is also aiming to attract videographers as well. Without a doubt, Nikon is pricing the D850 aggressively in the US Market. With its MSRP of $3,300, the camera is priced at exactly the same level as the Nikon D810 when it was introduced a few years back. And if you factor in the inflation, that makes the Nikon D850 cheaper than the D810! The Nikon D850 will be a very popular camera and if Nikon has not prepared enough units for shipment, we could have many months of delays as we had previously experienced with the Nikon D800 when it was introduced. If you want to get a hold of the Nikon D850 when it becomes available on September 7th, I would highly recommend to place your pre-order as soon as possible. If you are an NPS member, I highly recommend that you submit this web form as soon as possible, so that Nikon prioritizes your order. Nasim, thanks for the coverage on Nikon’s latest. I’m always interested in your perspectives. Also, just a typo in item 270 there’s a reference to D810 which I believe was meant to be D850. A typo in my comment – 270 should be 28). Thanks Charlie – I think you looked at the earlier version that had the typo. I added a couple of items and took care of the issues, so it should hopefully look better now. do we know if this manufactured where ? Like Japan, Malaysia or China ? According to Hogan’s 850 article – Thailand. …. Agghhh! Very happy D7200 user. Periodically, I want to tread into the full frame waters, but I look at the Nikon options and the associated costs and I realize what I have is pretty good, certainly good enough. My style of shooting includes a little bit of everything – from my perspective, the 850 is not optimized for action and sports (I shoot lots of motorsports), I never did like the 1/200 sec sync speed of the D610 and D750, leaving the D5. But…..
My sentiments too. This is the first FX camera that is making me wonder whether to change from DX (I take landscapes, nature and wildlife). My 300/f4 and 70-200/f4 will pull their weight on this – just need to consider whether I can stretch to a 2x TC and the 20/1.8. For the rest I could possibly bring my old Tamron 24-135 out of retirement. Does anyone know if the timelapse features of this camera can use the electronic shutter mode to eliminate wear on the physical shutter? I have always shied away from using my DSLR for timelapse because I didn’t want to rapidly wear out the shutter mechanism. With a 200,000 actuation lifespan, and 30fps for video, a traditional shutter could be potentially worn out with less than two hours of time lapse photography. The answer to this question is the primary determining factor regarding whether or not I would actually use this camera for timelapse. I heard of that lifespan marker but I don’t really think it is valid. Consider this camera will use electronic curtains instead of mechanical in live view means the mechanical will have an extended wear even if you take more images. I have also heard that the mechanical shutter hardly ever fails and that it can easily be replaced. Actuation fear seems to be misplaced in today’s technology. I have a D7100 with 350k shutter actuations that works fine. 3rd backup camera now, guess I should sell it but probably couldn’t get $100 for it. Insurance in case a D500 has to go to the shop. I expect my D500’s to last much longer then that. IMO, your comment is right on. Not sure how you worked out those numbers ( less than 2 hrs of timelapse photography for 200,000 shutter actuations). If you take a photo every 5 seconds, that’s 12 per minute which is 720 photos an hour… for 200,000 actuations you’d have to be shooting for over 277 hours. My latest timelapse (astro) was around 1080 photos for 34 seconds of finished timelapse at 29fps. I knew Nikon was going to come out with something great. I heard mirror-less was the trend but after analysis, there was really no advantage to switch. I made a huge investment in Nikon lenses. They are really good lenses, I am a lifer. I am pleased with the tilt screen and the in-camera focus stacking. That works well for macro work but I also can see it having an advantage for landscape as well. The focus box is now smaller for macro work as well. I know many where worried about Nikon and being a serious player. I think the 850 demonstrates Nikon’s ability to innovate and innovate along the lines of high-quality. Mirrorless is fantastic when in tricky light which is something we event photographers face daily. Once Nikon have a mirrorless “SLR” you will never chimp again and think it is the most wonderful invention ever. As an NPS member it was difficult to sell my Nikons off but I got tired of the wait for them to make a pro level mirrorless and it has sped up my post shoot work flow tremendously. What about shooting in live view? Does that fact that it is completely silent mean that it will also focus quickly, similar to a mirrorless camera? Nope, almost certainly not. Nikon’s still using contrast-detect AF otherwise we’d know they’re using something else. AF will be slow and terrible at tracking (but accurate if the target’s not moving!) in live view. Very good the best splinters I have seen so far on the Nikon D850, congratulations. beautiful work. Do you think that in real life the medium Raw at 12 bit would be noticed in the actual pictures? I’m currently shooting at 12bit in my D750 and there’s no practical difference. For landscape probably it is but weddings I think the medium Raw would be acceptable. What do you think? Medium RAW you mean 25 MP? If you want to use 25 MP for landscape, why would you spend the money on the D850? I’m wondering about this silent shooting mode and its electronic shutter. Do you think that in moving subjects there will be some sort of jello effect? Any word from Nikon about how fast is the reading of the sensor? Thanks for the great coverage. While I would love to see GPS I’ve learned that there are regulatory problems. Many countries only allow a GPS connection if the device was sold in that country alone. Others forbid it entirely. So it may just be Nikon avoiding the problem rather than navigating the issue. Technically you’re not even supposed to use your cell phone location in these countries as well. I use a Solmeta external GPS on my D810 and travel world-wide, so this is new information. Could you provide a list of those countries or maybe a link to the source of your information? *1 Only product models sold in the country/region are approved for use. Use of GPS is restricted in some countries and regions, and illegal use may be punishable under national or local regulations. Note that Canon cannot be held liable for any problems arising from GPS use in countries and regions other than those listed above. 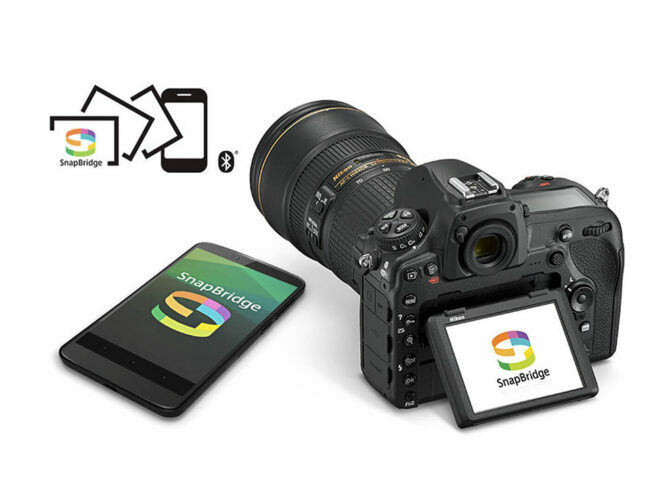 If you connect the D850 to your smartphone via SnapBridge, you have a better GPS because you use in addition to GPS satellites, mobile networks and wifi routers, so you can locate your photos for instance, inside buildings. And you will not worry about battery life. Bluetooth BLE is a low energy connection. I use my Garmin Fenix 3 watch for GPS tracking. I prefer this solution to a built in solution since it provides much more possibilities. For example, I can download a complete track of a hike I made. That would not be possible with a built in GPS system. Tagging the images with GPS data is very easy in LR. I’m glad I left Nikon. Just another incremental upgrade. I switched from the D810 to the Fuji X-T2 in which I get more features in a firmware update than an entirely new camera model from Nikon! And Ohhhh, the Fuji glass is spectacular ! Hey look, a troll! Hello troll with the smaller sensor. Isn’t it nice that Fuji kindly gives you features that should have been included on the camera when you bought it, but only some months or years later? I bet that Fuji ultrawide f/2.8 zoom or 300 mm prime is great. What’s that? You don’t have such lenses? Nevermind then. I agree, If he was so happy why would he even look at this. I bought an XT-1 for travel and 3 days into the trip I walked into a store and bought a Nikon D3500 with Kit lenses that did a better job. At least every image was in focus and the LCD worked. The battery life was non existent and the EVF. Claim to fame you can see the images Jpeg output in the EVF but then they shoot in RAW in any case?? Mirrorless is bandwagon stuff. Good news though! After its first recall, you’ll also be the owner of a D850 with a black sharpie dot in the tripod threads!!!! How cool ? is that!!! Ditto. Other than the unexpected weight of the awesome long lenses the X-T2 is an amazing camera. I was surprised to discover thst the D500 coupled with the surprisingly sharp, newer DX VR 18-55 and 70-300 is a lighter, smaller kit! Trade offs. Interestingly, I went the other way. I had an X-T2 since it was first available last year and have gone to a D500 as of today. A 300 f4 PF plus 1.4 TC brings a lot of good reach in an easy to use package. I think the X-T2 is a great camera but I was frustrated that I only had a 100-400 lens option for any meaningful telephoto pics with AF. And Fuji has slowed down their lens development overall for XF and definitely on the telephoto side. The XT-2 AF is also not anywhere near as good for tracking focus or continuous focus as DSLR. If I did more in the 16-90mm equivalent range I would likely have just kept it. I agree! The 300 + 1.4 is a fantastic combo. There’s always trade-offs. It’s nice to have options. You are only fooling yourself if you think comparing the X-T2 is valid. What is the buffer like? 9fps is fine, but it needs to collect several seconds of action to make the camera relevant for sports or action. Nasim, thanks for the update. Congrats to those who have been waiting for this camera and are excited by it. Personally I have no desire to ever spend $3500 for a camera and I don’t really trust Nikon. For now my little cropped sensor camera still has much to teach me. I’m not sure why Nikon is selling the ES-2 Digitizing Adapter as an accessory for the D850 only. Since it has to attach to the lens, and not the body, it would seem that it should work with any camera. Automatic focus stacking in the D850 would be a handy tool for rephotographing film though. Film, especially transparencies in mounts, is usually not flat, and you have to resort to higher f-stops to get uniform focus on the grain, if uniformity can be obtained at all. I’m impressed with what I’m reading about the D850. The Fuji is a fine camera (I own one). The Nikon is a spectacular camera (I own two D800E’s and will shortly own two D850’s). They do different things and suit different photographers. I agree. It’s great to have choices. My D500 is the first of my last 4 Nikon cameras not to be recalled, but the kit 16-80 was defective and had to be shipped in for repair. To date, my X-T2 system has been flawless. D700: no recall. Df: no recall. Good point – I thought the same as you. 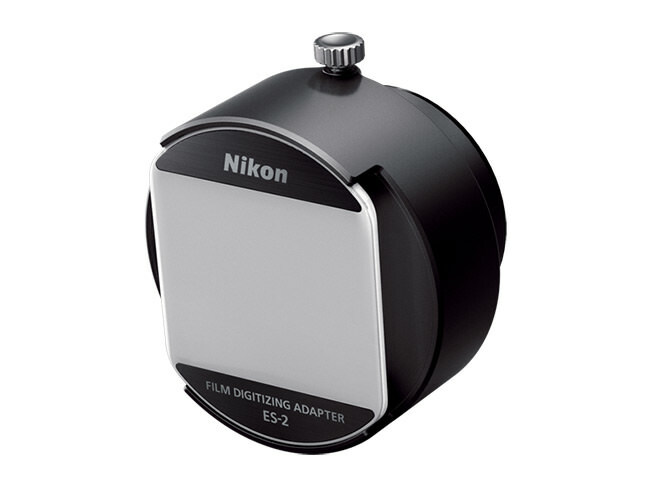 I intend to use this feature with the Nikon bellows and slide copy adapter. I have some cherished photos on colour negative film stock which are a total pain to scan. If the negative conversion works well, it will be really useful additional feature for me. With regard to film flatness, I found that putting the film in a Gepe mount with an anti-Newton ring glass does a good job of keeping the film flat. I guess I’ve steered clear of mounts with glass because of bad memories (from the projector days) of fighting dust while trying to get the film in there. Maybe I should try this again. I also have a lot of old cherished Kodachrome 25 slides taken during very memorable nature adventures. Digitizing Kodachrome for an acceptable print has many challenges, requires more and more difficult post processing than typical native digital images, and acceptance of somewhat different aesthetic values than modern ultra-resolution images. But that’s a long story that belongs in some other post. How do you know the sensor isn’t manufactured by Sony? I think Sony are the only fab making BSI sensors anyway. 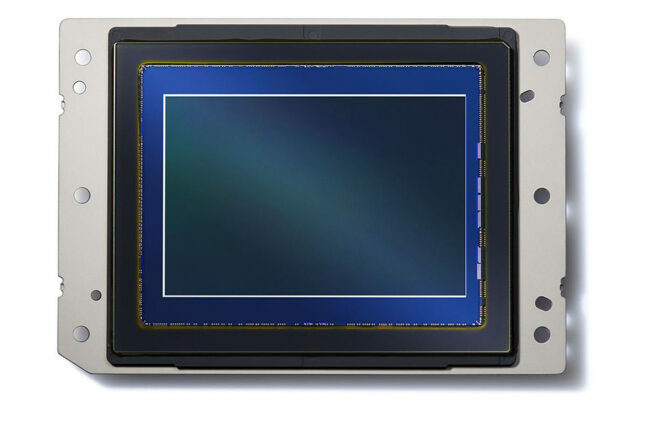 Developing the technology to thin sensors and apply electronics to the backside is a huge investment for a sensor the size of a full frame sensor. There a multiple sources for small BSI sensors such as are found in smartphone cameras, but full frame BSI is a much bigger challenge. If there is a foundry, other than Sony, that is offering full frame BSI sensors that would be very interesting news. The investment required to design a custom sensor using a foundry’s design rules (e.g. 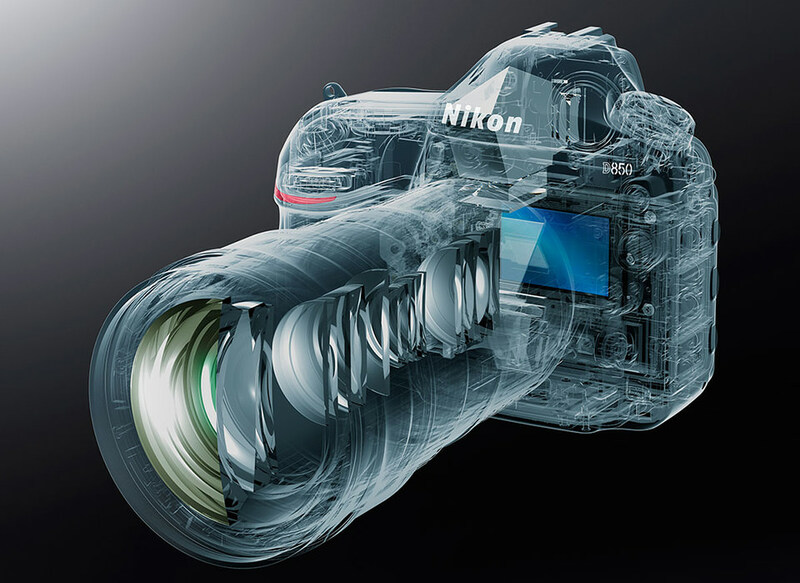 Nikon) is much much smaller than the investment to develop the manufacturing processes for full frame BSI sensors. It may take a while to learn the facts but if there are such foundry services available it would be very good news for those of us who want to see vigorous development of new cameras. Great stuff, Nasim. Please note some text is missing at the end of Paragraph 15. Wonderful camera and certainly looks well worth the wait. I am really intrigued to see how Nikon exploit their advantages in the innovations condensed into the D850. As they leverage the advantages of the D5 AF system in the D500 and now the D850, the new HR sensor will be a killer feature in forthcoming Nikon’s that combine the D5 AF and focus stacking. Add the superb tilting screen into the Df2, and we will have the leading retro FX DSLR for landscapes and macrophotography ! There’s a swelling flood of commentaries following on the official launch of the D850 yesterday. Nikon Rumours has sifted out useful information into a concise Directory, and also just posted a detailed comparison between the D850 and D810. And a post at PhotographyBlog has published jpgs and RAW files taken at some of the ISOs from the UK launch. I, too, hope for an improved DF. Preferably full frame mirrorless. But I would prefer the X-T2’s tilting screen that also rotates sideways to accommodate verticle shooting. And ergonomics A La Thom (His suggestions improve the Fujis’ design which is far better than the original DF). Thanks for the “run-down” Nasim nicely presented as usual. I am a professional landscape photographer with a gallery and printing studio based in Cape Town, South Africa. I have been looking forward to this release from Nikon with great anticipation. I changed from Canon to Nikon some 4 odd years ago, and was one of the first customers to get a D800 in Cape Town. Since then, I had an 800e (which I have just sold in anticipation of the D850) and still use a 810, which I will keep – awesome tool. Many of my customers here in SA like large prints and I am continually looking for more resolution, to the point where I was considering moving to medium format. It seems that, at least for the time being, I will continue with full frame DSLR and have placed an order for a D850 within hours of the release notice. Just for interest the quoted price here in Cape Town is $750 more than your price in the US !! Nikon seem to have answered some of my requests, however I would have liked a histogram based on the RAW capture, a more versatile screen, built in GPS, and of course a EVF !! But in return we get the focus stacking feature, which is a surprise, and I am really looking forward to that. The rest doesn’t really interest me as 99% of my work is done on a tripod with fixed focal length lenses and mostly manual focus. When do you expect to get your hands on a camera to put through its paces and give us some more of your great reviews ?? Question : what is your view on or experience with (hand-held) camera shake at high sensor resolution – I have met a fair number of D800/810 shooters whose pictures are less than sharp when looked at in detail. Shot discipline is more important as resolution increases. Many people, though, have poor shot discipline and often rely on VR/IS/IBIS to “fix” their lack of good handholding and/or tripod use. VR et al are great tools but even better if you’re using the camera well. Perhaps when the update for the D750 happens, it’ll have built in GPS and a slight bump up to 36MP. An electronic front curtain would be very nice and illuminated buttons. As an enthusiast, I use the built-in flash for fill-in and would help differentiate it from the D850 as well. Quite frankly, the D750’s current excellent dynamic range and very satisfactory 24MP sensor, has (and continues) to serve me well. How well? I typically don’t print larger than 16 x 24. But even at 24 x 36 (and good technique) one would be hard pressed to see any difference between a 36 MP sensor unless you have an 8x loop. But that’s not how most view images. And one more thing, at 45 MP, how forgiving for artifacts and other faux technique will now become noticeable? A 36 MP update for my beloved D750 update and those other few tweaks would be very compelling! I think you might have confused EFCS and silent modes in item 16? EFCS is a mechanical shutter mode. When the spec sheet says Nikon has “… extended the EFCS feature to both quiet and quiet continuous shooting modes”, these are not the Live View Silent mode, which is all-electronic. Hello Nasim. Thank you for your very detailed information regarding the Nikon D850, I have the D810 but Nikon have made the D850 camera even better. Does anyone know the Dynamic Range? The D810 has a Dynamic range of 14.8 EV and a good/usable ISO of about 2979 if memory serves. Many thanks for the great review!!! As per usual Nikon (and/or the retailers) are going for the jugular on Australian pricing for the D850. AUD$5,300 for body only and AUD$6,000 with the MB-D18 Grip. Add on AUD$150 for the EN-EL18 battery and $525 for the MH-26aAK charger (which I luckily already own) and you don’t have much change out of AUD$7,000. Even given the current exchange rate of about 80 cents US for the Aussie dollar it’s steep. Of course given those specs I’m going to have to buy one…….. The part 15) left me hanging as the last word is and……..and what? You forgot to mention that the D850 AF covers a 30% larger area of the frame than the D810. That is significant! Great review and thanks. I wonder, given some of the recent reviews of the newer lenses (and comparisons with the older D- and G- Nikkors) how much the older lenses will be “exposed” with the higher resolution sensor. I love my old 70-180mm Micro for close-in shots, and it does fine with the D750, but worry that those and some of the older lenses like the kit 24-120 f/4 will have the resolution and corner issues magnified by the D850…. >sigh<…. more lens purchases…..
A most interesting and informative article, thank you. I own and use a Nikon D800e and print on an Epson 3800 to A2 format (approx 23 inches by 16 inches). I have three main lenses all Nikon 55mm micro f2.8 : 24 to 120 f4 VR and 200 to 500 f5.6 VR. My question is will the D850 with 46million pixels make any enhanced improvement as A2 is my standard, also are my lenses up to this new “beast”? This new “beast” D850 looks a great device, but are all these pixels really necessary. The video section has no interest. It’s a massive pity that the stacking increments are too large for macro. 3mm with a 100mm lens is way too large, it needs something like 0.3-0.5mm to use the wider apertures needed to avoid diffraction. 3mm with a 105 would work from about Hand sized fiels. Slightly better with a 60mm Micro Nikkor , but not much. Maybe a firmware update will fix it? I just checked your D850 wishlist and apparently most of your wishes came true. I really like the fact that Nikon decided to put some practical improvements from your list into the D850: high speed & large buffer, silent shooting, focus stacking, working Live View shooting (I understand it works like Canon now). This was exactly the camera I was hoping for to accompany my much loved D500 for landscape etc. If only snapbridge was of any use… it would be soooooo close to perfection. Retaining the SD is not a problem. All of my computers, Macbook Pros, monitors, have SD card slots. The XQD is a fine card, but its best to buy a big one, and leave in the camera forever. SDs are easy to buy anywhere in the world and the readers are ubiquitous. Thinking of the old Betamax vs VHS argument. The ubiquitous “good enough” won the battle against the better quality, more pricey, and harder to find alternative. If they had gone for dual XQD this camera would be off my radar. Because it has a fast SD card option I am keeping an eye on it. Concerning the different card slot of the D850; I am using the D750 who has a dual SD slot. I take a photo and it will be written on both cards, so I use one card as backup. So if I want to use this system on the D850, does the XQD card needs to be the same writing speed as the SD card? Dear Jan, the XQD cards are way faster as any SD card (and cheaper). My D500’s 10 pix burst rate and 200 pix buffer are crippled significantly when writing to both cards simultaneously. Details are covered in the D500 review on this site. Better use one for RAW and one for jpeg. I use two 128 GB SD for weddings so I thought that would be safe in case one card might fail. I understand the XQD is faster so I will use that card for main storage at the D850. Suggesting that I will use the SD card slot only for the backup RAW images, does writing speed still matter in that case? Nasim, thanks for the review. Even though I have no intention of buying this I always enjoy reading your reviews. “The Nikon D850 combines the power of a high-speed camera with a high-resolution sensor and in many ways represents something many Nikon shooters have been asking for – a true Nikon D700 replacement” So true ! Bravo ! Maybe I’m wrong but one of the most underestimated features here is the huge viewfinder! In the end, shooting is about viewing and having a truly bright, crisp and wide view in front of you is something that once you try it, you can’t go back. For some reason I had many Nikon SLRs and DSLRs but apparently the larger and better viewfinder seemed to stay on my film F6. I wonder how big the D850 will compare. Has Nikon added to the d850 firmware anything that would duplicate the u1 & u2 that is on the Nikon d7000, d600 & d750 series (similar to Canon’s c1, c2 & c3)? When traveling being able to change settings for different situations where time is of the essence is very useful. Your support question has been answered by one of our team members. Thank you for contacting Nikon. The compatibility page for the original EN-EL15 does not list the D850. The original v01 batteries are being exchanged for v20 batteries for owners of the D500 due to performance issues. For these reasons recommend you only use the EN-EL15a battery that comes with the D850. Does this mean that with this example below, the focus stack will not focus to infinity ? Because focus and depth of field depends on the lens you’re using and the distance to the subject, it’s often confusing how large a step you should specify between shots, when using a feature like the D850’s focus shift option to capture images for use in focus stacking. In the case of the D850, you can choose a number from 1 to 10, and we asked the Nikon engineers what those units corresponded to. The answer was that the finest gradation (a setting of 1) equates to a focus step equal to the lens focal length divided by 30. So with a 100mm lens, the smallest step would be a distance of 3.3mm, and the largest one 30mm. Does anyone know which manufacturer is making the new Sensor ? Anyone knows if there is one, and where? Or is it exactly the same? Seems like 500mm f/4G is so much worse in AF than the E version of my lens. Anyone knows how big a difference this is in reality (wildlife/birds)? I would like to know wich kind of computer are we going to need to post-process the D850 raw files; and one last question, wich camera is going to produce less noise without downsizing the images, the D750 or the D850 ? Greetings and thank you for the information. Does the d850 have the ability to save settings same as the u1 & u2 on the d750 maybe as an option under fn or other button used in conjunction with dial to change between multiple saved settings like u1-4? I believe that the Nikon 1 J5 also has a BSI sensor. Thanks for reviewing D850. Will your be reviewing the new Sony a7R III in the near future. I would like to know why sony battery life is so short compared to Nikon? I have a D750. Auto Focusing often malfunctions. It worked very well before the mirror malfunctioned and Nikon repaired the mirror. I was in Europe in August 2015 and with my Samsung phone I could get good shorts. I had to send the D750 three times to Nikon Service. it is better now but not quite the same when new. I had the same experience in Alaska in August 2016. I bought the camera in Dec. 2015 from Best Buy. I wanted to change the camera to D850. My experience makes me hesitant to change. I am very very long time (since 1952, yes I am close to 80) a fan of Nikon. I have at least six Nikon Cameras starting from Nikon SP, F, FA FM and more. I have corresponded with Nikon Service Manager, with request to send me a replacement camera, which proved to be futile. His response was that the refurbished camera meet the spec. Do you have any suggestion ? PS My experience is that the cameras manufactured in Japan is more reliable, because I think quality control in Japan is better than Thailand and China where Sony will be manufacturing their Sony a7R III. Does anyone know if there is a time limit on the 4k and hd recording like on the d7100. It was only able to film 20 minutes at a time before you had to press the record button again. I tested my D850 with a single battery (without the grip) with Sony XQD and UHS-II SD card having 128 GB. I got 6 fps and when i started firing shots continuously after sometime because of the buffer the camera rapidly slowed down and i also found out missing shots under RAW configuration on both the cards. This is to be expected since XQD has a larger pipe and UHS -II a much smaller bandwidth. If i attached my battery grip , probably that would increase the 7 fps but still i would have the same problem. I already have MB-D18 battery grip. What do i need to purchase additionally to get the 9 fps for D850. BL-5 Battery Chamber Cover and the EN-EL18 Battery. I have a D5 so I already had batteries and charger. D5 is great for sports. But I also love shooting out door panos. Shoot about 2/3s of the number of frames and still have the same great quality. Instead of shooting vertical I now shoot horizontal with the 850. Will the 850 write to the card as well as laptop when shooting tethered? First off–WOW, what a great and useful review! One small item I would have liked to see in the review–probably right near the top was the list of items that was included “in the box” when the camera is purchased. (also what is not in the box–such as the memory cards). I know that you can go to the Nikon site and look up the on-line user manual and get this information but it would be nicer if this were in your review somewhere. There should be a question mark behind the use of the EL15 for the D850. Nikon didnt officially said so but there are instances where the EL15 creates D850 system crashes. I would stay away from the EL15. The cause of the system freeze with my d850 isnt however clearly attributable to the EL15. Nasim, the latest from Nikon Rumors is that the D850 does indeed use a Sony sensor… not a “TowerJazz.” You might want to check it out and perhaps revise your sensor section in the article. Thanks.